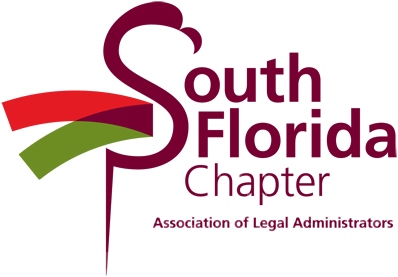 As a benefit to ALA South Florida Chapter members, we invite you to attend the monthly webinar. No fee for South Florida Chapter members. Budgeting can be a challenge in good times, let alone when economic times create new obstacles. But imagine how a well thought-out process and a well-constructed budget can help set the tone for a roadmap to the future. Learn methods to achieve a balanced approach to revenue assessment, expense management, cash flow and modeling budget assumptions. An Excel® template will be used to show how modeling different "what if" scenarios can help create a workable and realistic budget. Steven D. Wingert, CLM, Executive Director of Marshall, Gerstein & Borun LLP in Chicago, is 2012-2013 ALA Past President. He has served in many leadership positions, including At-Large Director, Region 3 Communications Officer and as the 2008 Annual Conference Committee Chair. Recipient of the ALA Outstanding Association Volunteer Award in 2008, Wingert has been a speaker at Annual and Regional Conferences and at numerous local chapters. CLM℠ App Credit (Functional Specialists): 1 hour of credit in the subject area of Financial Management (FM) towards the additional hours required of some Functional Specialists to fulfill the CLM application. CLM Recertification Credit: 1 hour of credit in the subject area of Financial Management (FM).